The Character Selection GUI allows you to control the characters data displayed during new games and loading phases. Coupled to the main GUI Editor, you can give a unique look and feel to your universe. 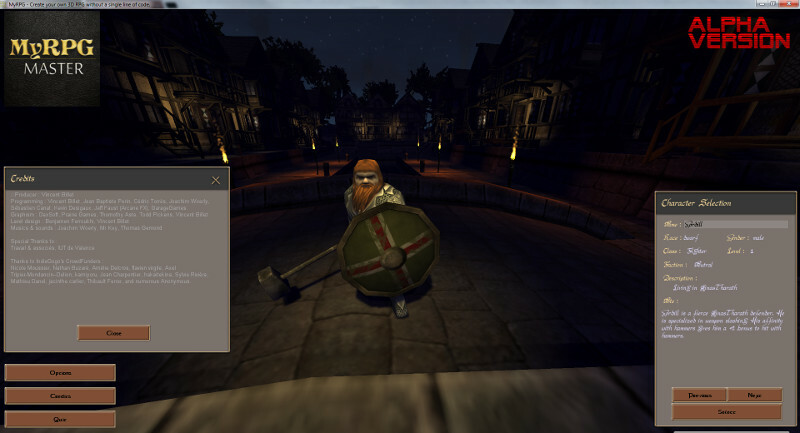 And coupled to the Wolrd Editor you can build a complete 3D scene for the character selection.